It's well known that organized crime syndicates play a major role in fueling elephant poaching and the ivory trade. But in Mozambique, where between 1,500 and 1,800 elephants are slaughtered for their tusks every year, the problem has taken on a whole new scale. 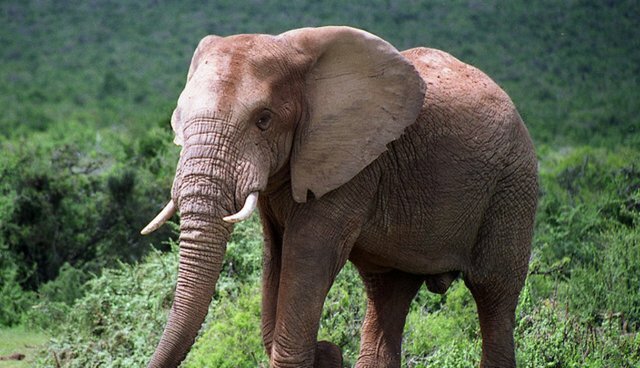 "The killing of elephants in the north of Mozambique ... is reaching proportions never seen before," Carlos Pareira, an adviser to the Wildlife Conservation Society, said during a recent seminar on the topic. "The killing of elephants is being industrialized." Described as a "national disaster" in the country, poachers have already claimed 22 elephants in September alone. Sophisticated fighting techniques like automatic weapons, poison in drinking supplies and spikes concealed in bushes have allowed poachers and the syndicates that fund them to be more successful than ever. Crime syndicates collect the ivory and ferry it to the Far East, where it's used to make trinkets, jewelry and ornaments. This isn't new - Mozambique has been previously criticized for its failure to effectively combat poaching by the Convention on International Trade in Endangered Species (CITES) - only recently has poaching become an actual crime in the country. A report released last April found that Mozambique's government was one of seven corrupt governing bodies that contribute to wildlife trafficking. "Mozambique recognises the economic and security threats from trans-boundary criminal networks undertaking these activities, and the country is committed to finding solutions to these problems."